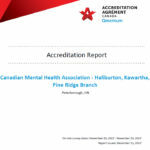 Mark Graham, CEO of Canadian Mental Health Association Haliburton, Kawartha, Pine Ridge is pleased to share the accreditation results from the November 2017 survey completed by Accreditation Canada. C.M.H.A. H.K.P.R. met 454 of the 456 standards of these standards, demonstrating 99.56% compliance. These are excellent results, demonstrating a strong commitment to the quality and safety of services to our clients and their families. Accreditation Canada is a not-for-profit, independent organization accredited by the International Society for Quality in Health Care (ISQua). They provide national and international health care organizations with an external peer review process to assess and improve the services they provide to their patients and clients based on standards of excellence. 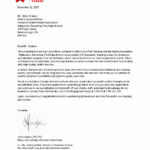 Accreditation Canada’s programs and guidance have helped organizations promote quality health care for over 50 years. Accreditation is one of the most effective ways for health services organizations to regularly and consistently examine and improve the quality of their services. Health care organizations that participate in Accreditation Canada’s accreditation programs are evaluating their performance against national standards of excellence. These standards examine all aspects of health care, from patient safety and ethics, to staff training and partnering with the community. Health care staff devote time and resources to learn how to improve what they are doing so they can provide the best possible care and service to their patients and clients. Organizations are surveyed once every three to four years. Following the survey, they receive one of four accreditation decisions: Not Accredited, Accredited, Accredited with Commendation, or Accredited with Exemplary Standing.